From Culture Fly. 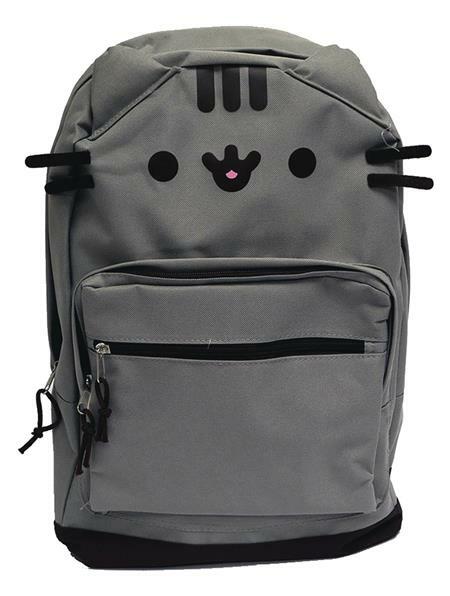 This Pusheen Backpack is a cute option for carrying your books and papers around! It has a sturdy construction with handy zipper closures to keep your items secure. The backpack features padded straps that can be adjusted, so you can get the comfortable fit that you want. This pack has a loop at the top for hanging it up in a locker or on a hook for your convenience. It will make a cute addition to your backpack collection! bag measures 7'h x 12'w x 5't.